Otomo Yoshihide, Yasuhiro Otani, Barry Truax, Francis Dhomont, J. Brandt-P., J. Teller, P. B. Acs, Anton Ignorant, Dr. Mengelhause, Ruelgo & P. O. Jørgensen. On the 2nd of January 1997, SKRÆP celebrated the passage from 1996 to 1997 with an homage to the pendling people of Copenhagen's Central Station in a very special event (Pendler = Commuter). Ten people surrounded The Central Station, all distributing a postcard (5,000 total) telling them they just left/were going into an extraordinary sound environment and that it was being recorded in that very moment. The postcard furthermore informed them that these recordings would be treated by 12 chosen invited composers and released on a "Pendler" 2-CD which could be ordered by using the postcard. 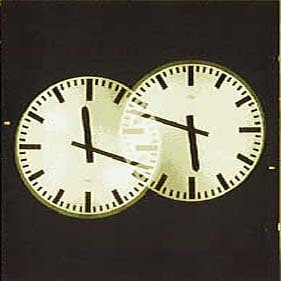 The artists received a one-hour DAT recorded by Jørgen Teller and Per Buhl Àcs on the grounds of the Central Station during the 2nd of January, 1997.